Located in North Tallahassee, come experience the modern style of the Residence Inn Tallahassee, FL hotel! Enjoy fully equipped kitchens with granite countertops, flat panel HDTVs, free WiFi and contemporary room furnishings. Conveniently located off I-10 and Capital Circle, the Residence Inn North Tallahassee hotel is just a short drive to the State Capitol Building, Governor's Mansion, Maclay State Gardens, Florida State University, and Florida A&M University. Our hotel in Tallahassee offers one and two bedroom suites and studio suites with fully equipped kitchens, large work stations, free high speed Internet and WiFi. Join us each morning for a complimentary hot breakfast buffet and enjoy our Residence Inn Mix Monday - Wednesday evenings. 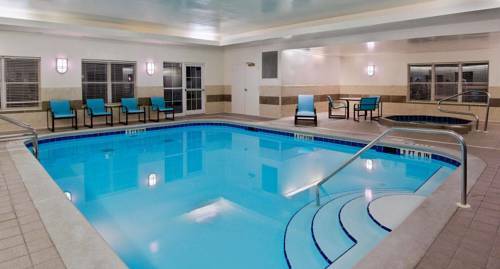 This North Tallahassee hotel boasts an indoor pool, spa, fitness center with personal flat panel TVs and outdoor Sport Court to help melt your tensions away.